When you sell a rental property at a profit, you typically pay capital gains tax to the IRS on Schedule D, Capital Gains and Losses. If you sell at a loss, you do not pay the tax. In some other situations, you can sell your rental property and cushion the tax burden, such as completing an exchange for a like kind rental property in which you reinvest the proceeds of the sale. The IRS allows a partial break on paying capital gains tax if you have lived in the rental property, claiming it as your primary residence for an aggregate of two out of the last five years. You pay the capital gains and federal income tax on the sale of the property prorated on the amount of time the house was used as a rental property versus as your primary residence. Income property investors are allowed a tax break from the IRS with depreciating the property over time. 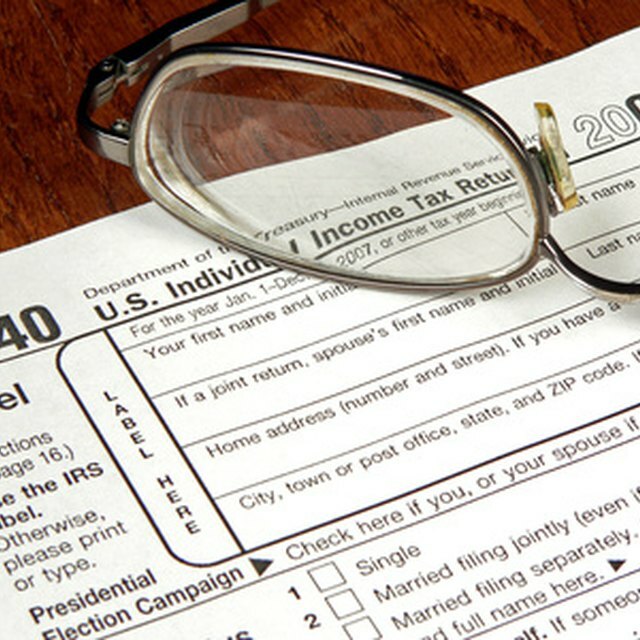 Depreciation results in a reduction of federal income taxes paid previously. Upon the sale of the rental property, the IRS requires repayment of depreciation at a rate of around 25 percent. For example, if you take $100,000 in depreciation on your rental over a period of years, the government charges you back $25,000 at the sale of the property. Income property investors need to take depreciation every year, as the government charges it back whether they take it or not. Like kind exchanges of property, also referred to as 1031 exchanges, allow owners to sell a rental property, buy another of equal or greater value and defer the capital gains tax. The like kind exchange is perfect if you want to reinvest your gain in rental real estate, but not if you plan on using the cash for another purpose. With the 1031 tax exchange rule, the IRS recognized that while the actual property has changed, the investment remains consistent. For example, a condo complex may be exchanged for a big box warehouse. Should you sell the new property outright down the road, the deferment ends, and you pay capital gains tax. The IRS requires that 1031 exchanges be handled by a Qualified Intermediary. You must contract with someone who has not been in your service as a professional agent of any sort, such as a lawyer or accountant. The Qualified Intermediary will sell your property, buy the replacement property and deed it to you. She must execute these tasks within strict time limits set by the IRS. Choose an experienced Qualified Intermediary, as the IRS will disallow the exchange if the rules are not followed.